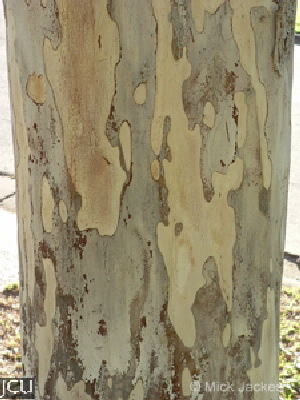 This trunk of this tree is covered with smooth mottled bark hence the common name. 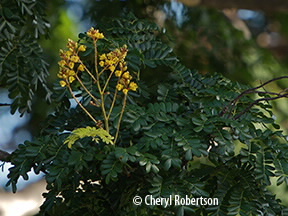 The bipinnate leaves to 10 cm have small leaflets (pinnules) to1 cm long, the small yellow flowers are about 1 cm long and are followed by indehiscent, thick flattened dark brown pods. Often found as a street tree.